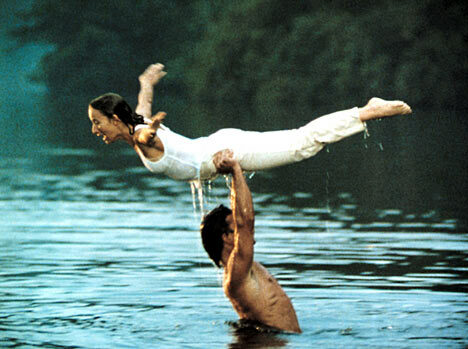 Posted on September 15, 2009 September 15, 2009 by JNEL & J.
Patrick Swayze, the hunky actor who danced his way into moviegoers’ hearts with “Dirty Dancing” and then broke them with “Ghost,” died Monday after a battle with pancreatic cancer. He was 57. “Patrick Swayze passed away peacefully on Monday with family at his side after facing the challenges of his illness for the last 20 months,” his publicist, Annett Wolf, said in a statement Monday evening. Swayze died in Los Angeles, Wolf said, but she declined to give further details. Fans of the actor were saddened to learn in March 2008 that Swayze was suffering from a particularly deadly form of cancer. He kept working despite the diagnosis, putting together a memoir with his wife and shooting “The Beast,” an A&E drama series for which he had already made the pilot. Swayze said he opted not to use painkilling drugs while making “The Beast” because they would have taken the edge off his performance. The show drew a respectable 1.3 million viewers when the 13 episodes ran in 2009, but A&E said it had reluctantly decided not to renew it for a second season. When he first went public with the illness, some reports gave him only weeks to live, but his doctor said his situation was “considerably more optimistic” than that. Swayze acknowledged that time might be running out given the grim nature of the disease. Other celebrities used Twitter to express condolences, and “Dirty Dancing” was the top trending topic for a while Monday night, trailed by several other Swayze films. Ashton Kutcher — whose wife, Demi Moore, costarred with Swayze in “Ghost” — wrote: “RIP P Swayze.” Kutcher also linked to a YouTube clip of the actor poking fun at himself in a classic “Saturday Night Live” sketch, in which he played a wannabe Chippendales dancer alongside the corpulent — and frighteningly shirtless — Chris Farley. Larry King wrote: “Patrick Swayze was a wonderful actor & a terrific guy. He put his heart in everything. He was an extraordinary fighter in his battle w Cancer.” King added that he’d do a tribute to Swayze on his CNN program on Tuesday night. 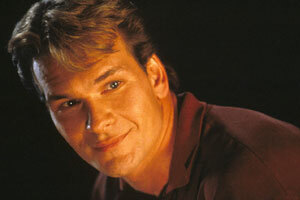 Rest in Peace Patrick Swayze 1952 – 2009.